Hands down our favorite track is “Take Me Home”, which is aptly named with its straightforward lyrical choices. The instrumentals are endearing from the start, with a beat that just doesn’t quit. (Yes, we are pulling out some cliches for this one.) We can’t imagine anyone hearing this and not dancing. 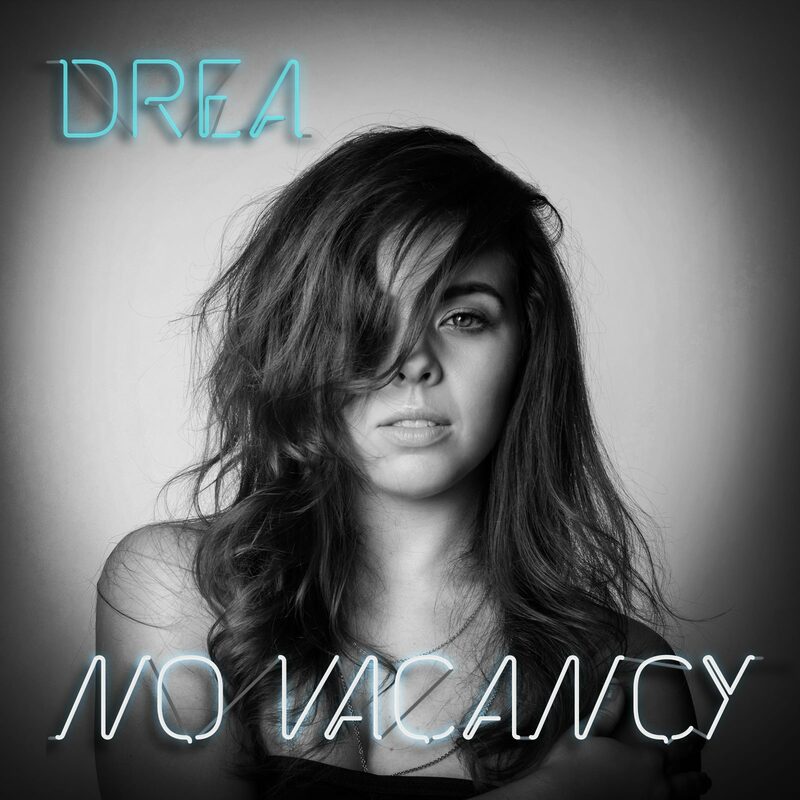 We had the chance to throw some questions at Drea herself to really get to know this new recording artist and everything she’s about. Check it out below! What was the first record or song you ever listened to, and who introduced it to you? Some of my earliest musical memories are from riding in the car with my dad listening to the Beach Boys and Diana Ross and the Supremes. My dad was my biggest musical influence growing up, introducing me also to his favorite musical soundtracks and classic crooners like Bobby Darin. My flair for the dramatic definitely comes from him. Your voice is stunning. When did you decide to pursue music as a career? Thank you! I’ve been singing my whole life, but it wasn’t until I was in college that I admitted to myself that I wanted to make music my career. I was on the fast track to grad school, but instead pushed myself to wrap up my Bachelor’s degree in three years and then packed up and moved to LA! Now here I am. What – largely – influences your music? Dance. I’ve been dancing as long as I’ve been singing, and that means a good beat is going to be the first thing about a song to grab my attention. This is one of the reasons I’m so drawn to pop music, and why I’m so excited to finally put out a truly dance-pop album. Much of my music up until now has been acoustic, and it was so much fun to partner with my producer Raz Klinghoffer to finally create something that speaks to my soul and allows me to fully express myself. Do you have any personal anecdotes from recording your debut album? I think the biggest learning curve for me has been recording vocals, and being able to capture the mood and essence of a song while still accurately hitting those difficult melodic lines. A lot of this boils down to confidence, and not getting in your own head. Recording vocals is so much different than performing on a stage. There’s no room for error. There’s no adrenaline to push you. My producer was great at goading me on, saying things like “That’s okay, I’ll just edit it.”, after a less than perfect take, and I would get puffed up and say “No, let’s do it again.”, and nail it. Holy hell “Take Me Home” is SO good. What influenced that song, specifically? Thank you! The first line of the song says it all: “Shouldn’t have to tell you exactly why I’m calling, you should already know.” I’m not a person that likes to waste my time; when I want something, I want it now. I was talking to this guy I had been seeing, and our conversations would just circle the drain and drag on and on… when in reality, I didn’t want to talk, I wanted him to come over. That conversation developed into the sexual freedom anthem “Take Me Home”. I may be projecting myself onto this question, but I envision a lot of people listening to my album as they commute around their daily lives. In the car, walking down the street, in the metro, on a plane. Getting where they need to go, and getting the motivation, spark, and inspiration to do what they need to do today. I’ve had a lot of people tell me they listen to the album when they’re working out as well, which is awesome. That’s exactly what I want this album to do – to inspire and motivate, to give people a feeling of invincibility, within their vulnerability as humans who have very real desires and dreams. What do you think is something important people should know about you? I’m a Midwest girl, and that’s very much at the center of who I am. LA is definitely my city, and I love her to death, but the mentality here doesn’t always speak to me. It’s a very individualistic, short-cut driven society at times, and that’s not what resounds with me. I believe genuine community is hugely important, among artists, friends, family, and I do my best to cultivate that in my life here. When the going gets tough, as it often does in LA, I always follow my late grandfather’s very Swedish advice, “Pick yourself up by your bootstraps”. It’s that Minnesota mentality mixed with a good sprinkle of LA hustle that has kept me on this path. What’s up next for you, darling? We’ve been playing some awesome shows around LA, and we’re planning some shows outside of LA as well. We’re talking to video directors right now to create the first music video for the album. So excited to keep up the momentum and reach as many people as we can with No Vacancy! No Vacancy is available now. You can connect with Drea via Facebook, Instagram, and Snapchat (@dreaxmusic).